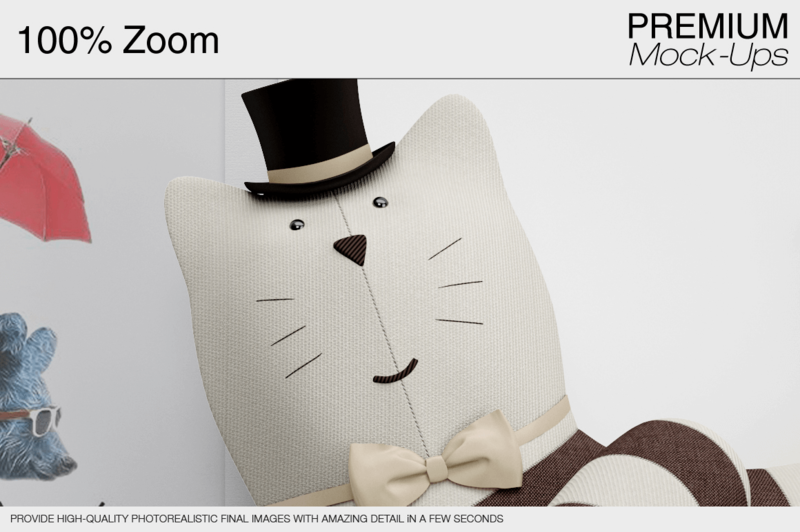 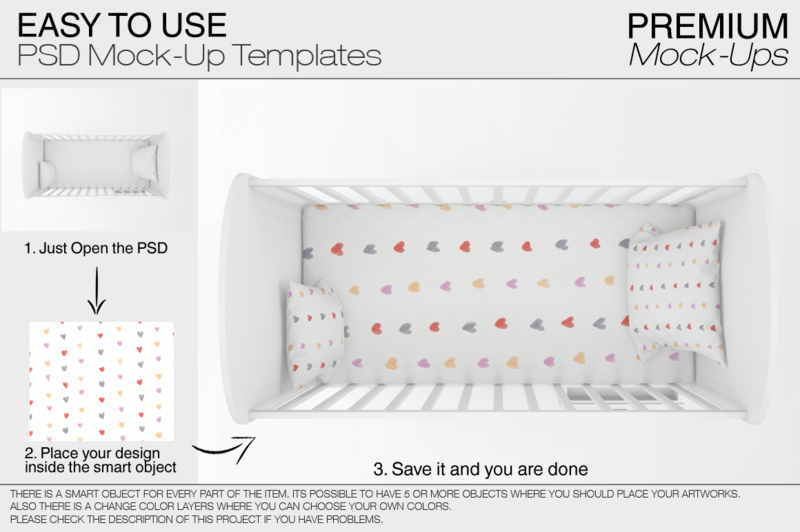 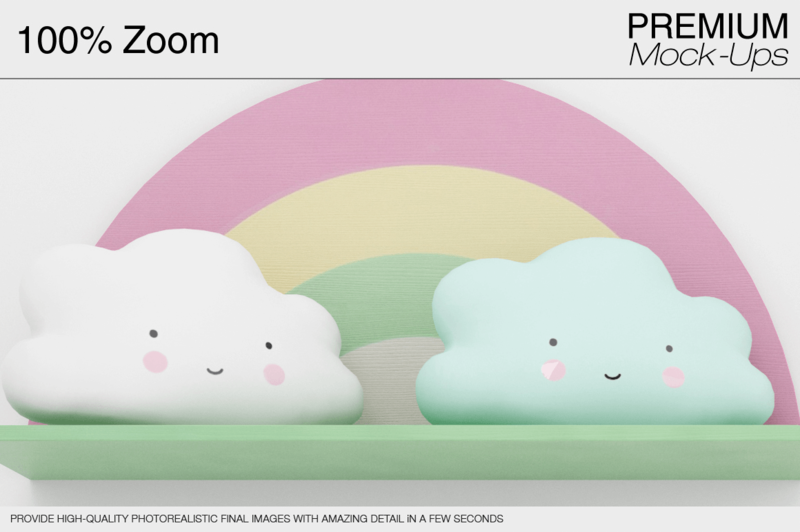 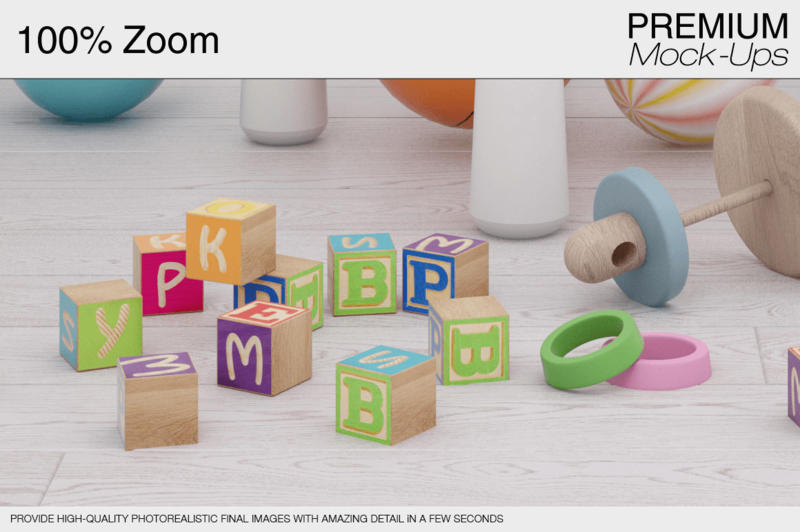 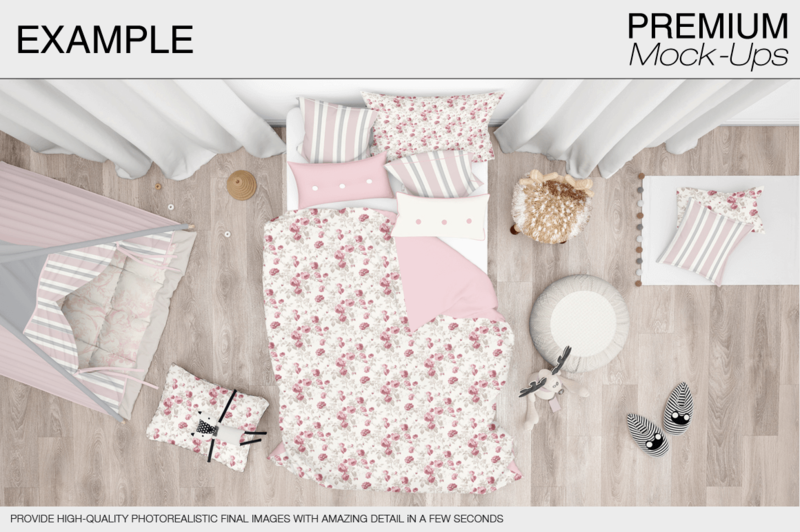 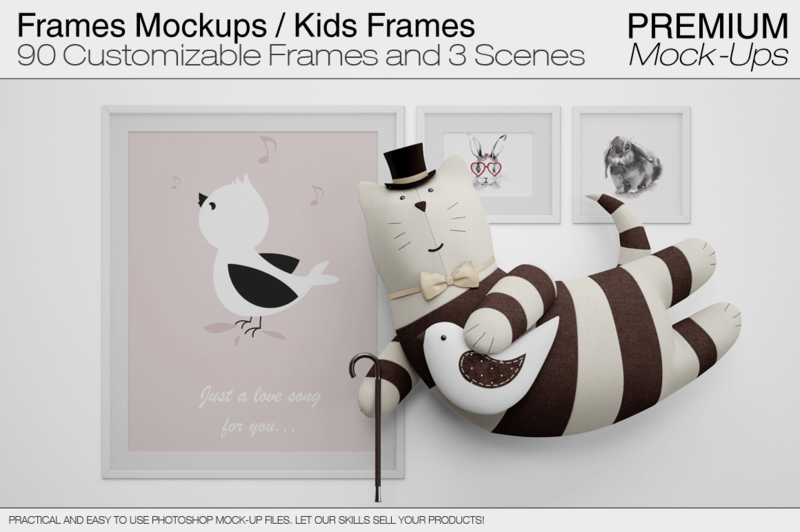 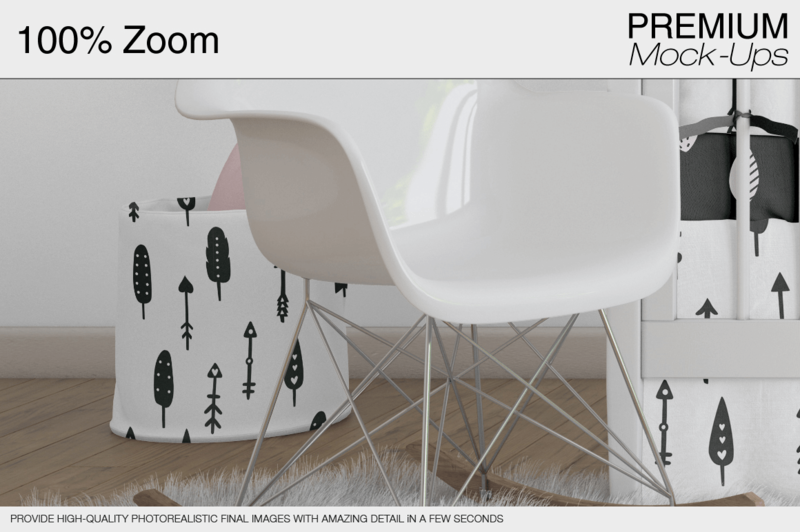 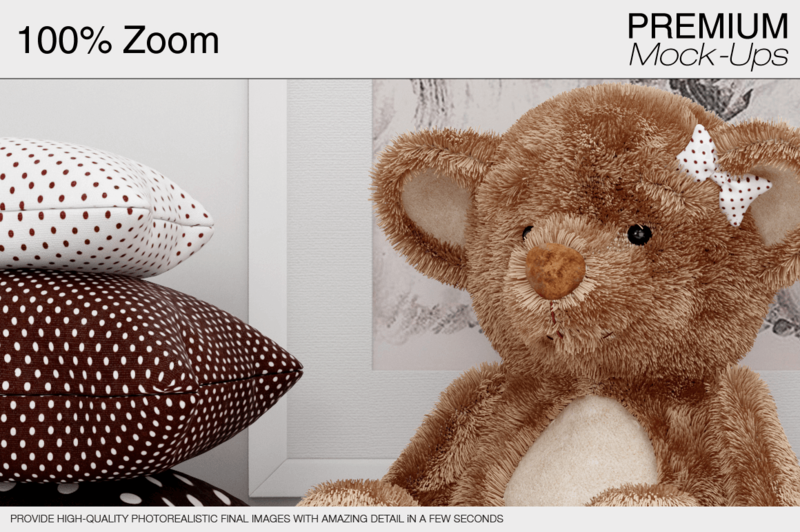 This promo gets you access to the biggest bundle of bedroom themed mockups anywhere, with 85 product bundles that include hundreds of PSD mockup files, perfectly isolated objects & shadows, displacement maps, several different views and perspectives on each mockup, high resolution 4k files, and instructions to work with the files to easily put your brand & products in the mockups for showcasing your content in style. 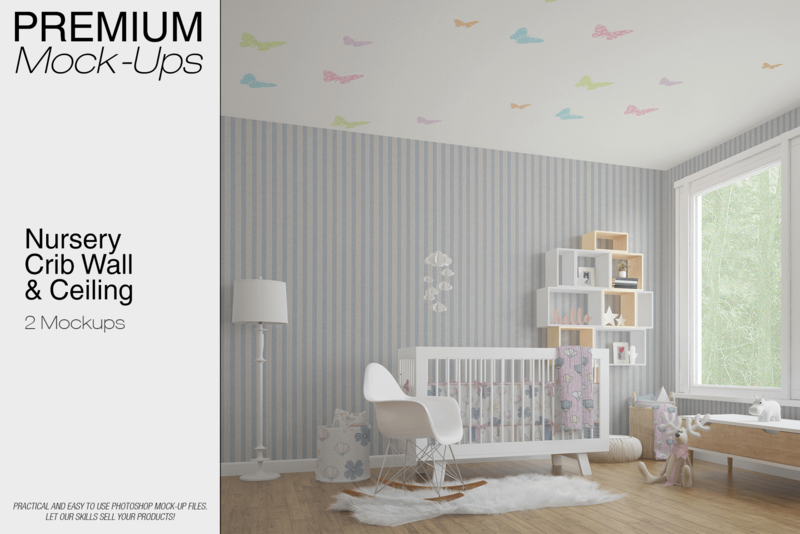 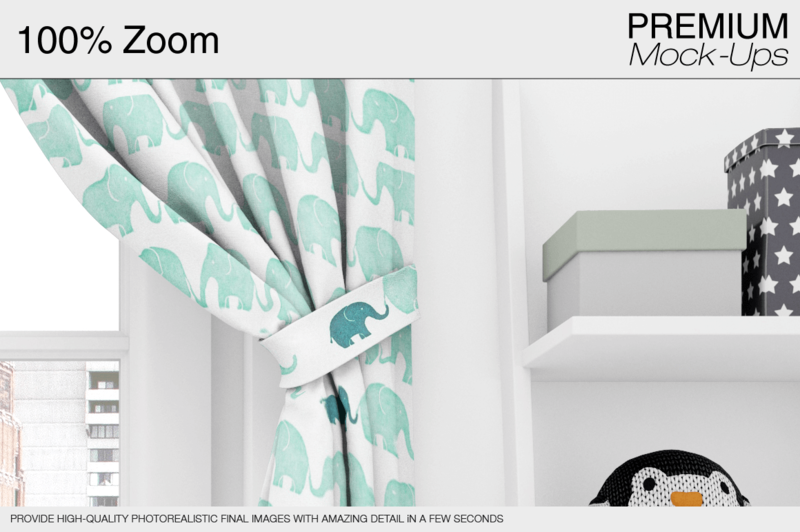 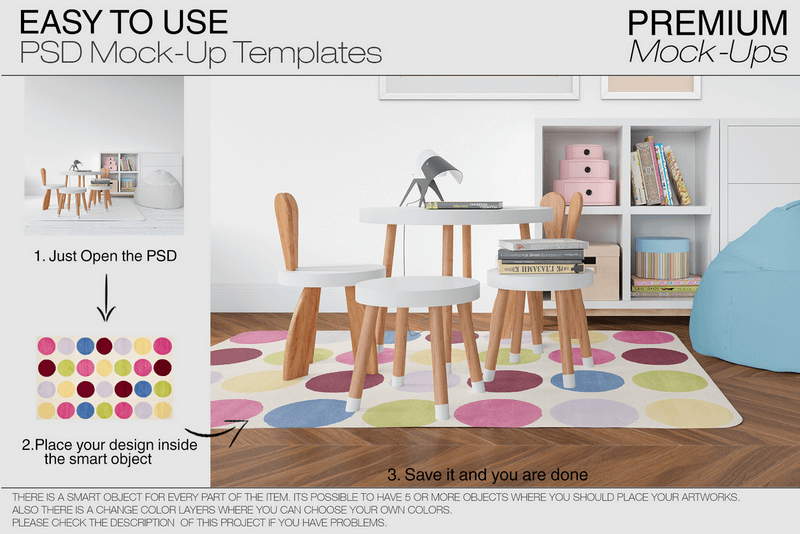 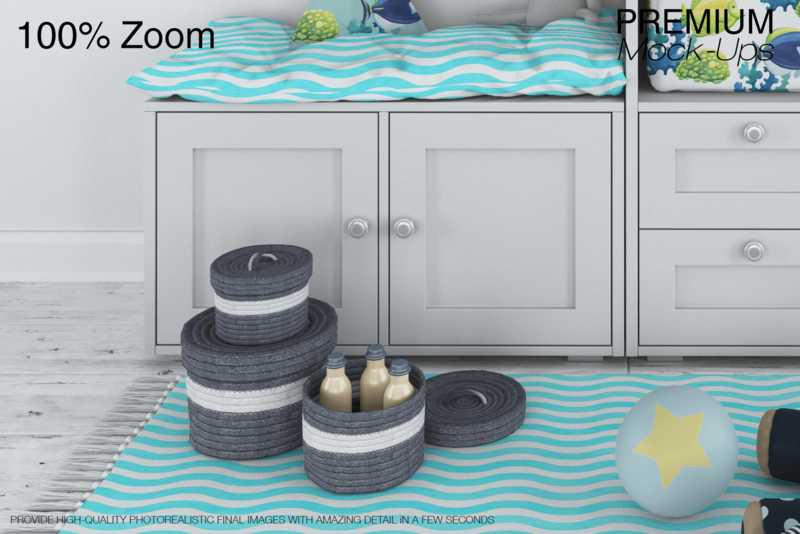 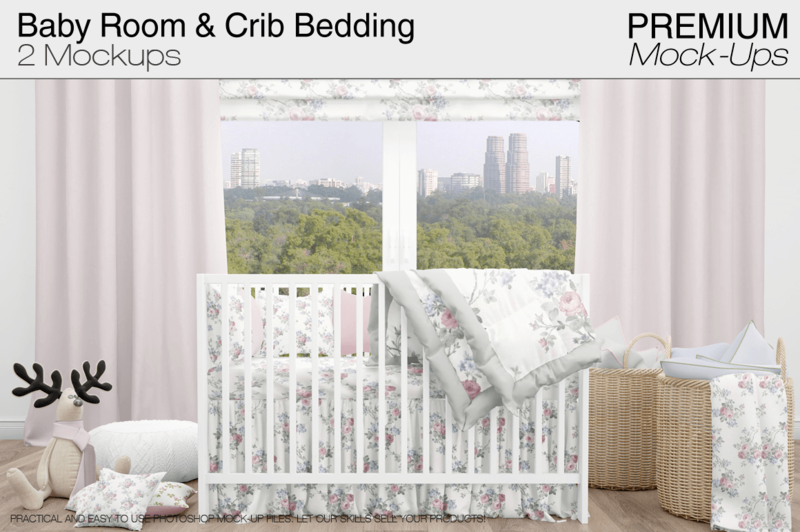 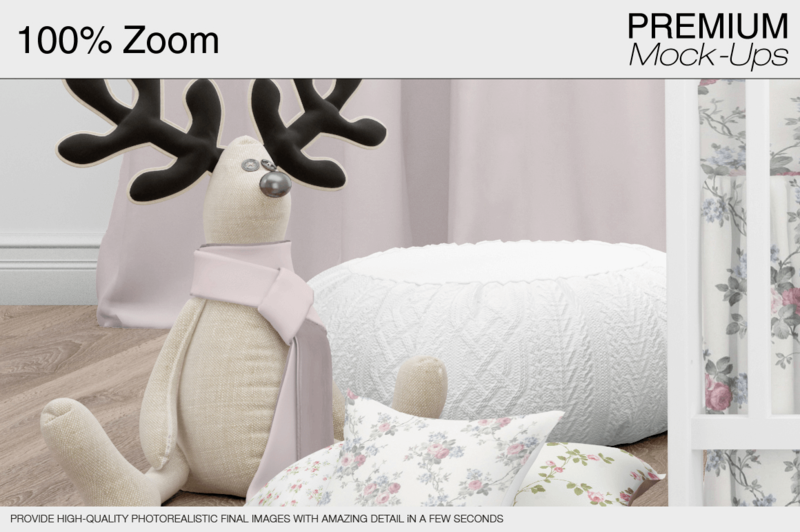 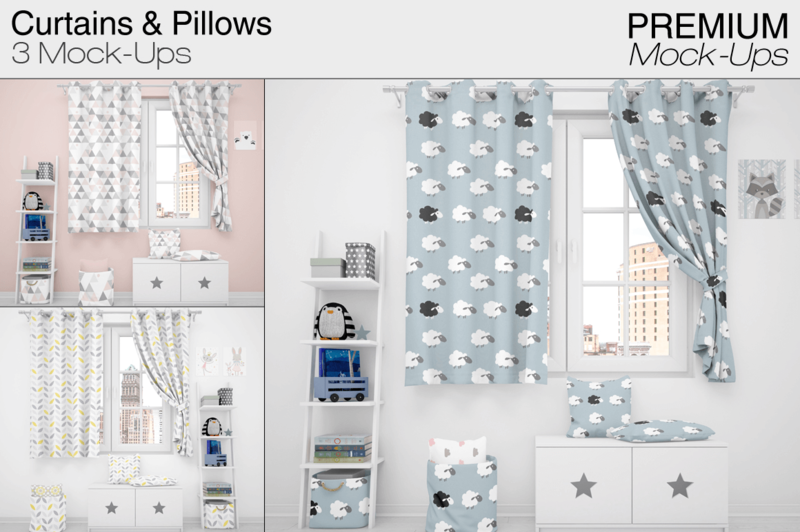 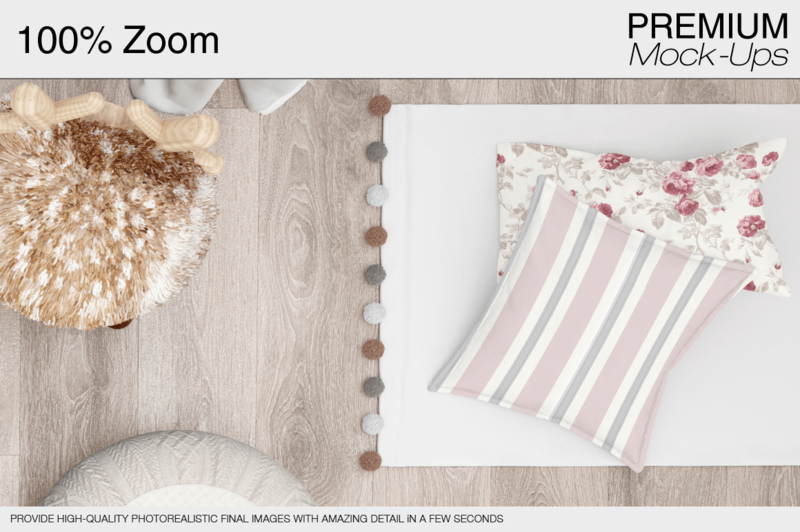 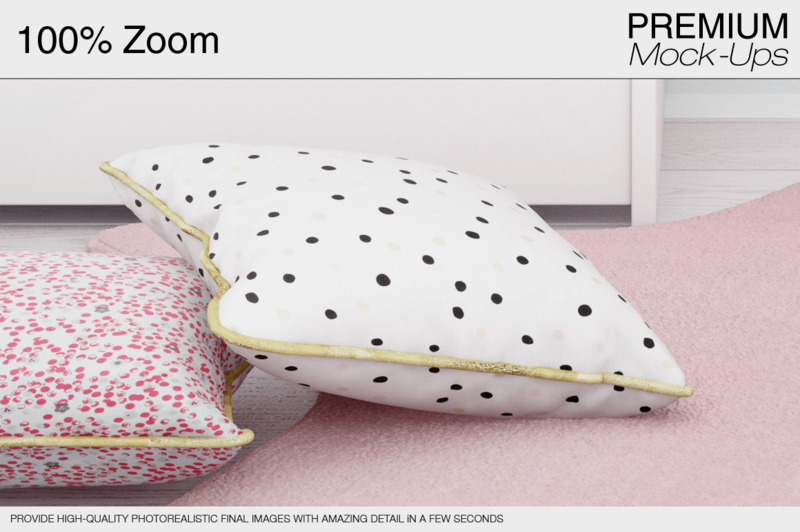 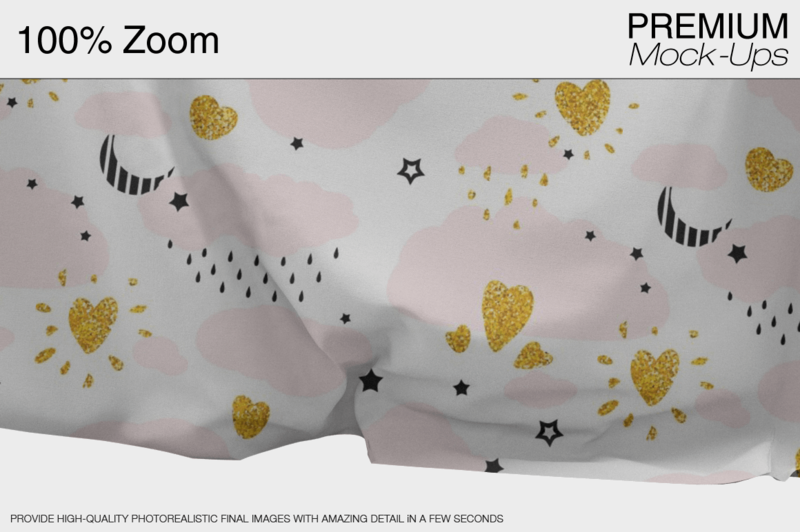 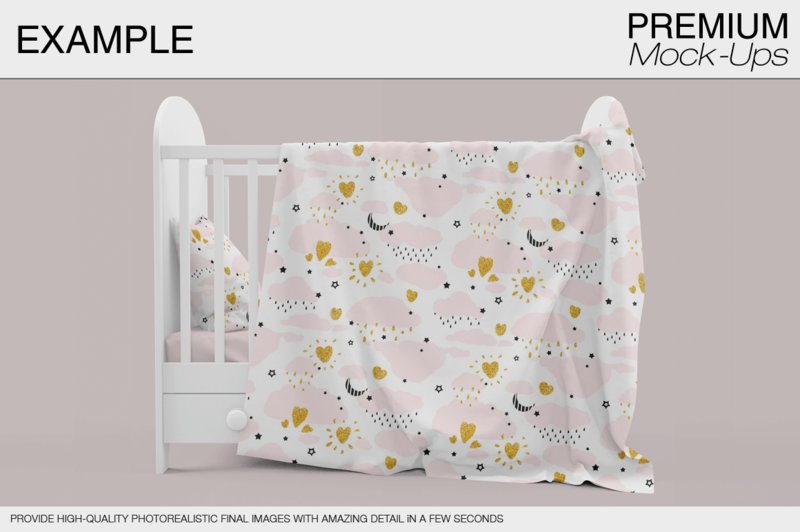 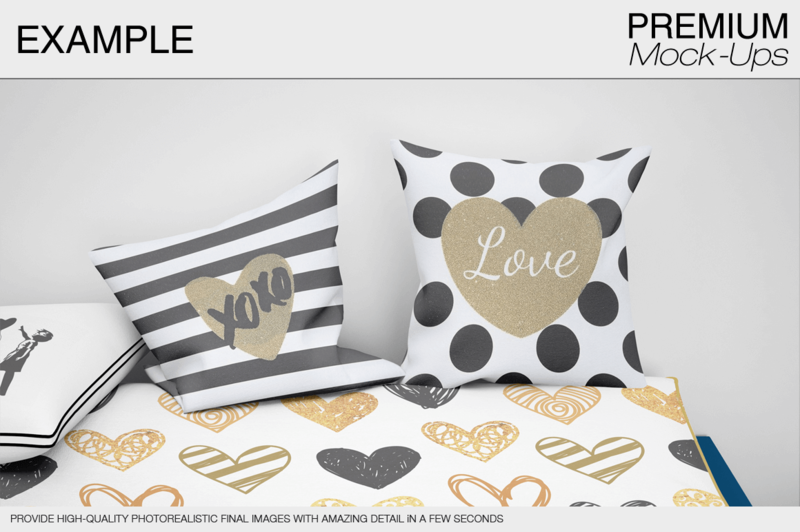 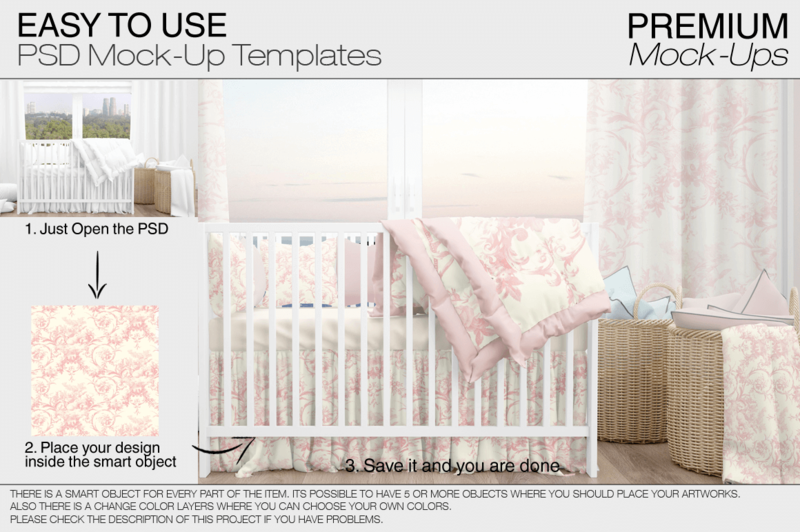 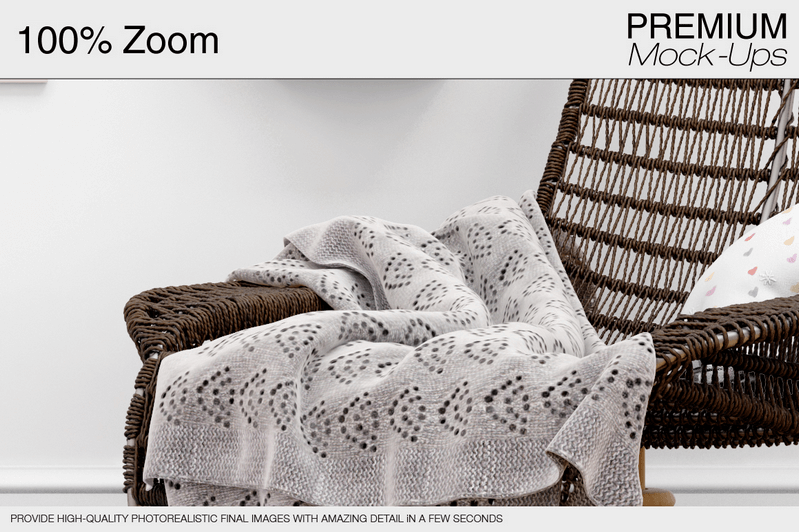 The bundle includes mockups of beds, cribs, curtains, rugs, walls, frames, and much more as well as tons of variants in styles such as carpets with round, square, and rectangular shapes and with rounded corners, different shapes & styles of cribs, pillows, curtains, etc. 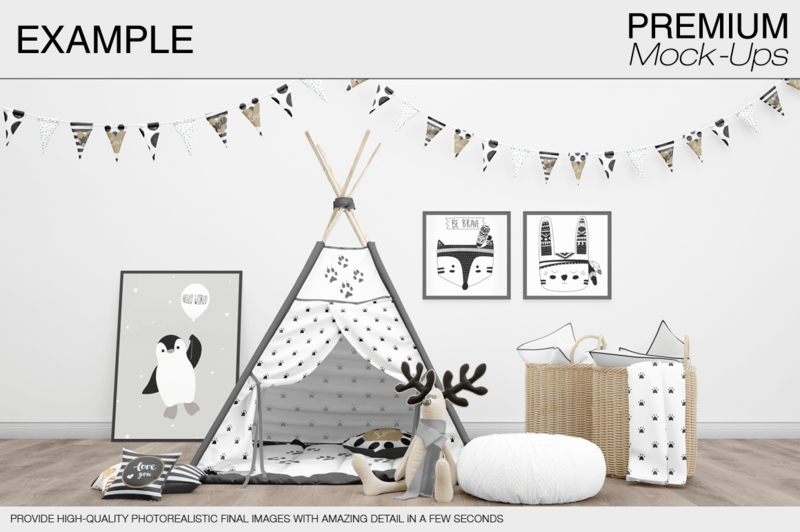 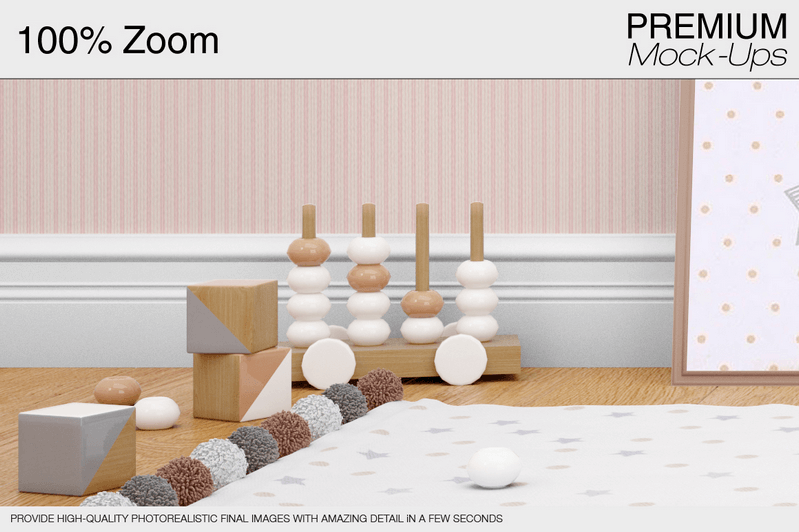 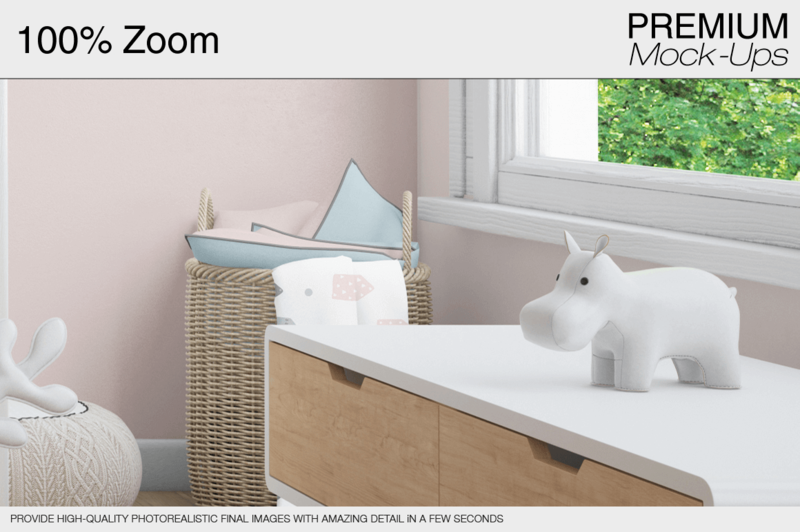 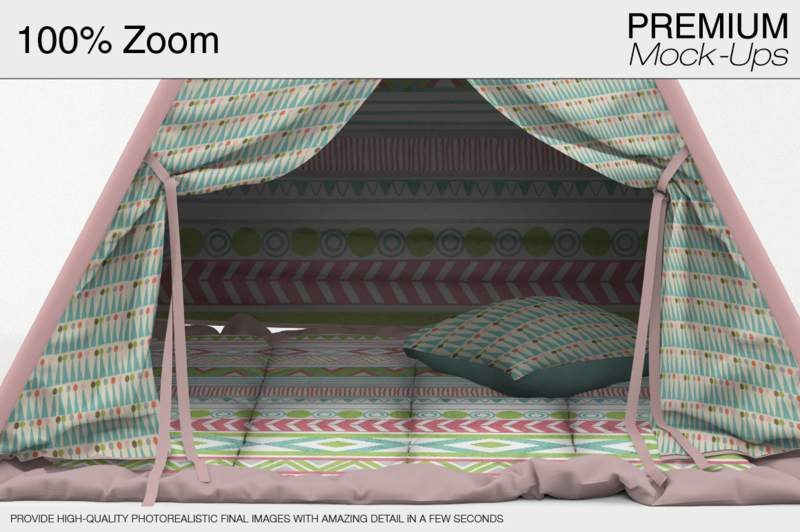 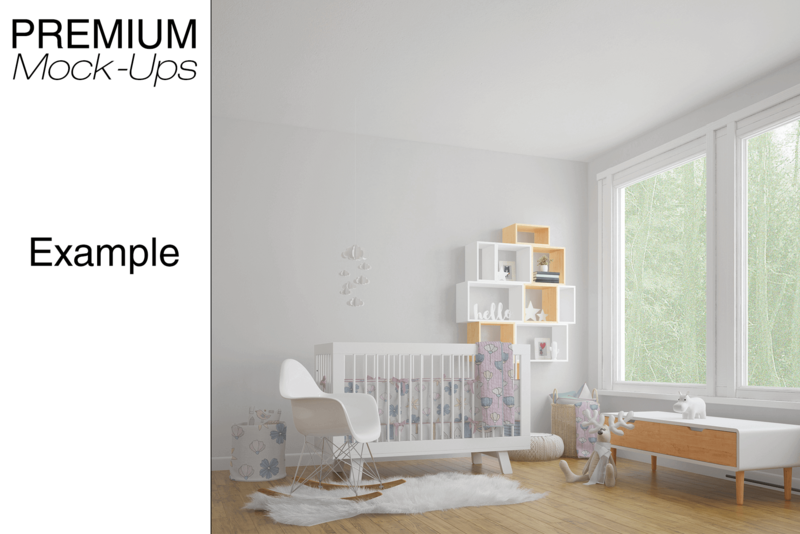 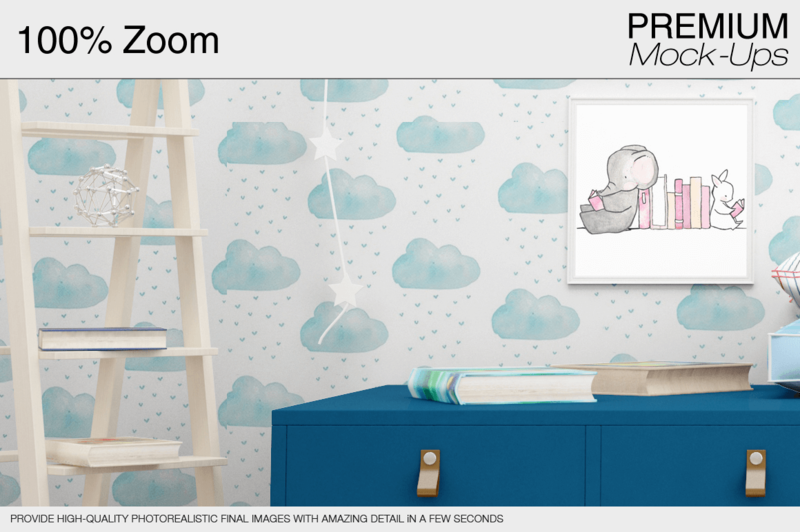 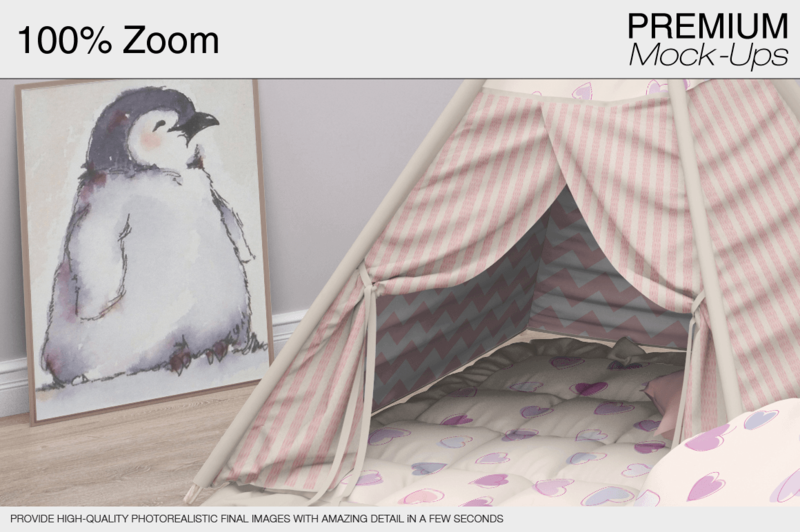 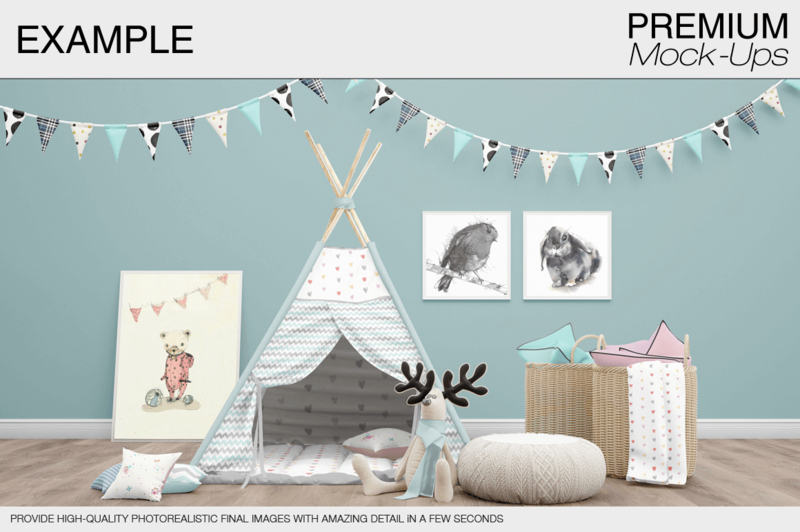 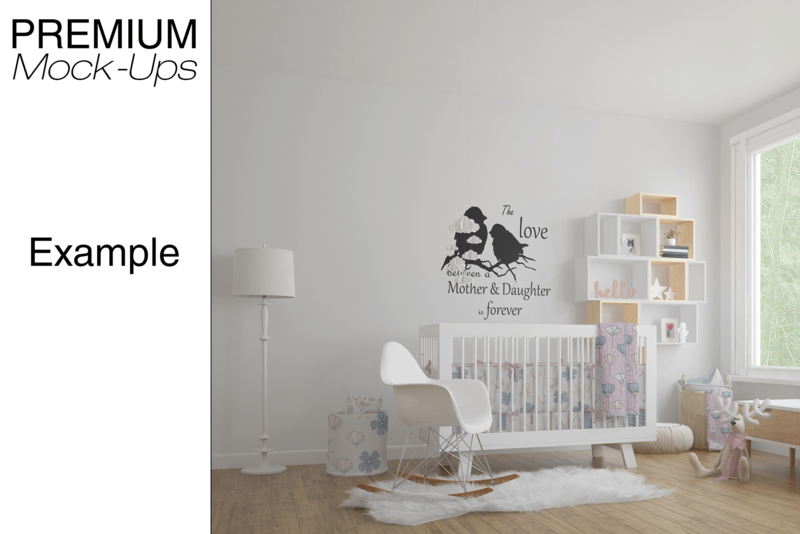 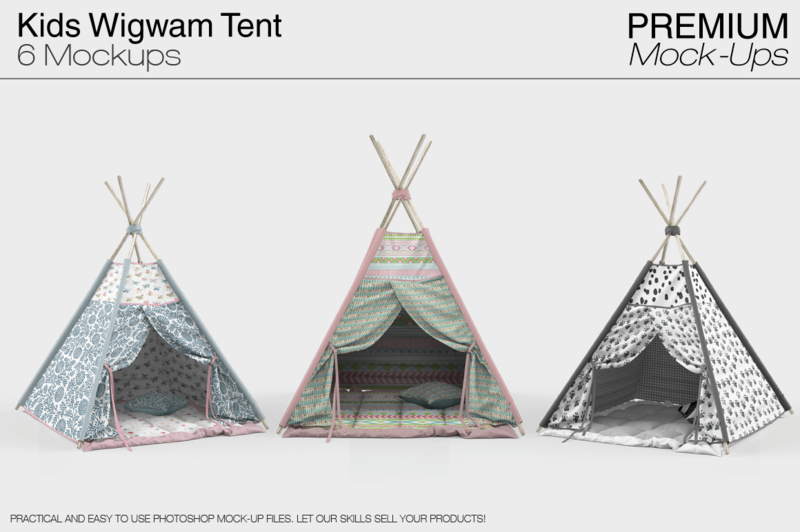 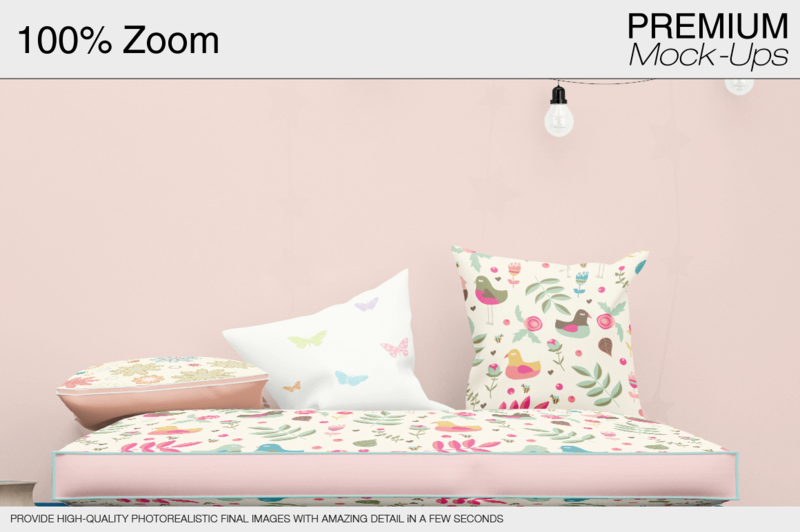 You’ll get a huge collection of kids bedroom mockups with beds, frames, wigwam tents, walls, cribs, nurseries, blankets, carpets, curtains. 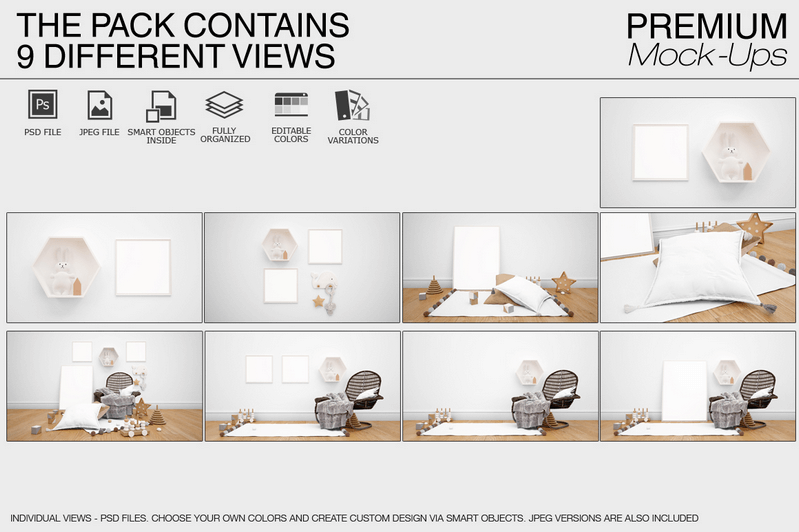 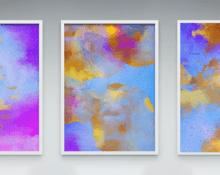 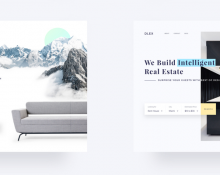 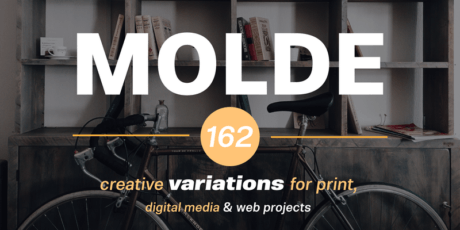 Today you can get this huge bundle of photorealistic mockups that regularly would cost over $4000 at a huge discount for just $19!